Born in Lisbon, Portugal in 1991, Laura studied harpsichord and singing at Instituto Gregoriano de Lisboa for eight years, where she completed the secondary course in 2010. Afterwards, she went on to Escola Superior de Música de Lisboa and finished her BA on Choral Conducting/Musical Training there in June 2013. In 2011, she got the opportunity to study at the Kodály Institute in Kecskemét, Hungary, as an Erasmus student. Currently, Laura is studying Classical Singing with Rita Dams at the Koninklijk Conservatorium in The Hague. 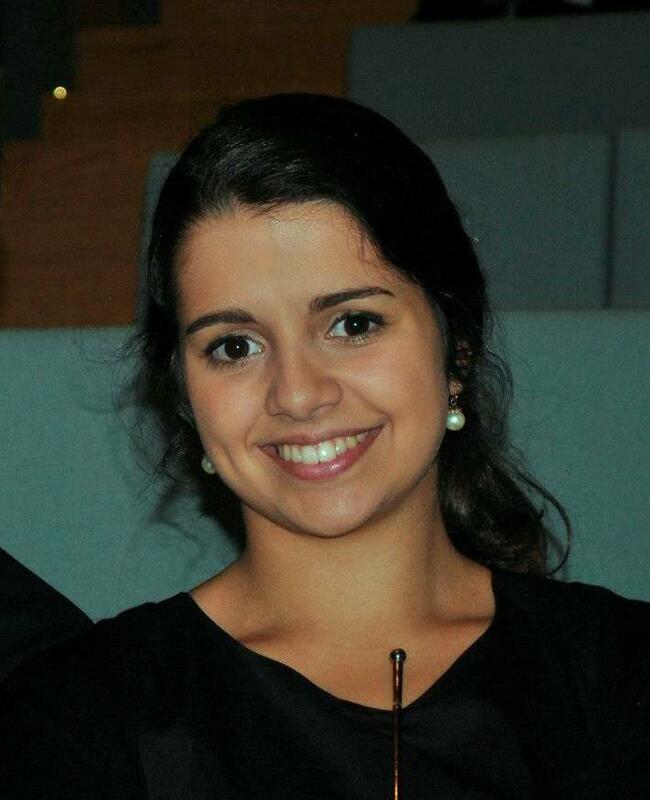 From an early age, she was part of several amateur and professionals choirs in Portugal, such as the chamber choirs of both Instituto Gregoriano de Lisboa and Escola Superior de Música de Lisboa or the Coro Ricercare and she also developed an interest on singing on vocal ensembles and performing chamber music. Laura co-founded the early music group Ensemble delle Donne, active from 2008 to 2012, and this ensemble was awarded at the Prémio Jovens Músicos 2012 in Lisbon. She is also a co-founder of the Ensemble Vocal Desafinados, and she was part of the jazz vocal octet AfterSeven from 2010 to 2013. Laura is a member of the Coro Gulbenkian in Lisbon since 2009. With this choir, she had the opportunity of singing with conductors like Michel Corboz, Esa-Pekka Salonen, Thomas Hengelbrock, Leonard Slatkin, Bertrand de Billy, Simone Young, Lawrence Foster, Alain Altinoglu, Paul McCreesh, John Nelson, Phillipe Herreweghe, Leonardo García Alarcón, René Jacobs, etc., with performances not only in Lisbon, but across Europe. As a soloist, Laura sang Arvo Pärt’s Passio, Vivaldi’s Gloria, Bach’s Magnificat, Pergolesi’s Stabat Mater, etc and she played the 2nd Student role in Der Jasager by Kurt Weill, and the Owl in Pollicino by Hans Werner Henze. During her studies, she participated on several courses and masterclasses, on ensemble and solo singing, such as the Jornadas da Escola de Música da Sé de Évora with Peter Phillips, Owen Rees, Paul van Nevel, Pedro Teixeira, Paulo Lourenço and Armando Possante; Curso Internacional de Música Antiga in Tomar, both on harpsichord and early music singing, with Ketil Haugsand and Jill Feldman; Vocalizze in Almada, with Stephen Coker, Cara Tasher and Paulo Lourenço, etc. In 2011 she worked as an assistant conductor for the Coro do Tejo in Lisbon, and she taught at the Conservatório Regional de Setúbal in 2012/2013.